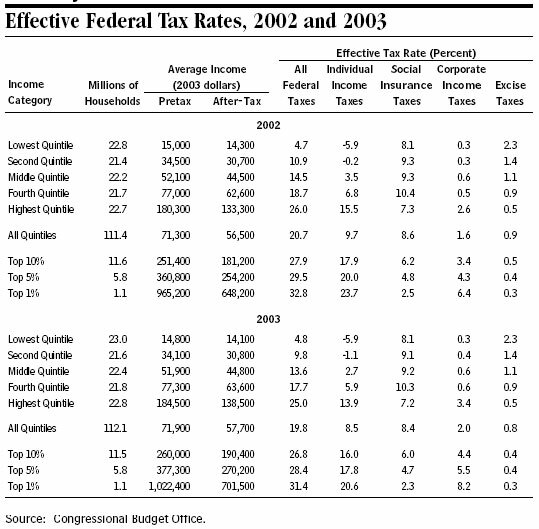 Compared with its rate in 2002, the overall effective tax rate fell by almost 1 percentage point in 2003: to 19.8 percent from 20.7 percent (see Summary Table 1 on page 4). A 1.2 percentage-point drop in the effective individual income tax rate was the largest contributor to that change, along with a 0.2 percentage-point decline in the effective social insurance tax rate. Those changes were partially offset by a 0.4 percentage-point rise in the effective corporate tax rate. 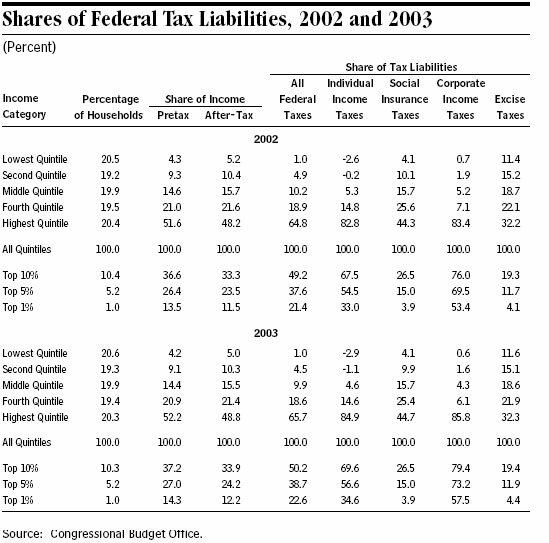 The individual income tax rate fell largely because of changes to tax law. EGTRRA and JGTRRA lowered tax rates and increased deductions, exemptions, and credits, which pushed down tax liabilities.